Season 2 of Westworld is over, but that does not mean you have to leave Delos. 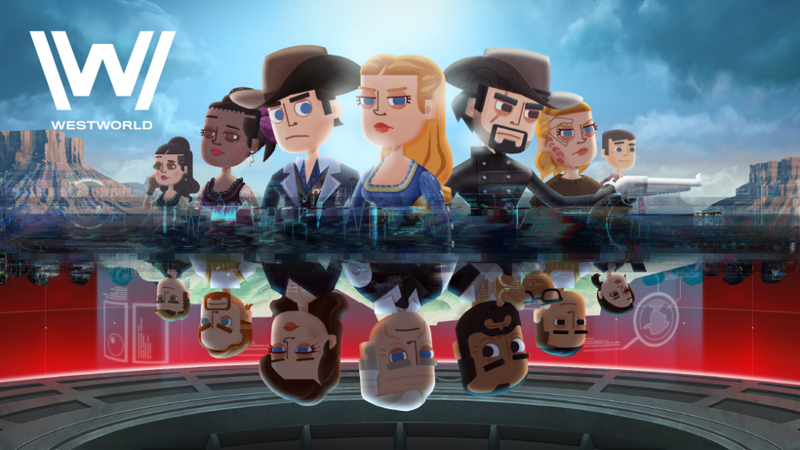 With Westworld Mobile the mobile game from Warner Brothers, you now control of the park, learn how it works, maintain the hosts and watch as they evolve. Aside from collecting and upgrading hosts you also have to make sure the guests are satisfied. The goal is to match your hosts with the guests, as satisfied customers mean more money for the park. Popular characters like Bernard, Dolores and Maveve are here, and the narrative is similar to the TV series. You start out as a new employee of Delos. You are taken to the Delos Park Training Simulation where you are tasked with helping build the park. The early part of the game serves as a tutorial, with Theresa guiding you through the process. You need to complete objectives like creating your first host, engaging guests and so on. The guests arrive by train – just like in the show – and you must have the hosts ready. Once a guest enters a building, double tap the building to go there and provide a host. Match the host with the guest and if they are satisfied you will be rewarded. You have access to Sweetwater and the control room, and as you progress you gain access to more features in the park. Aside from keeping guests happy, you also need to maintain the hosts and create new objects to keep guests happy. If you love Westworld you will definitely dig this game.